Japanese Goa project Jikooha are back with a new single on Matsuri Digital that delivers rich analog sounds, evocative harmonies, and deep beats. 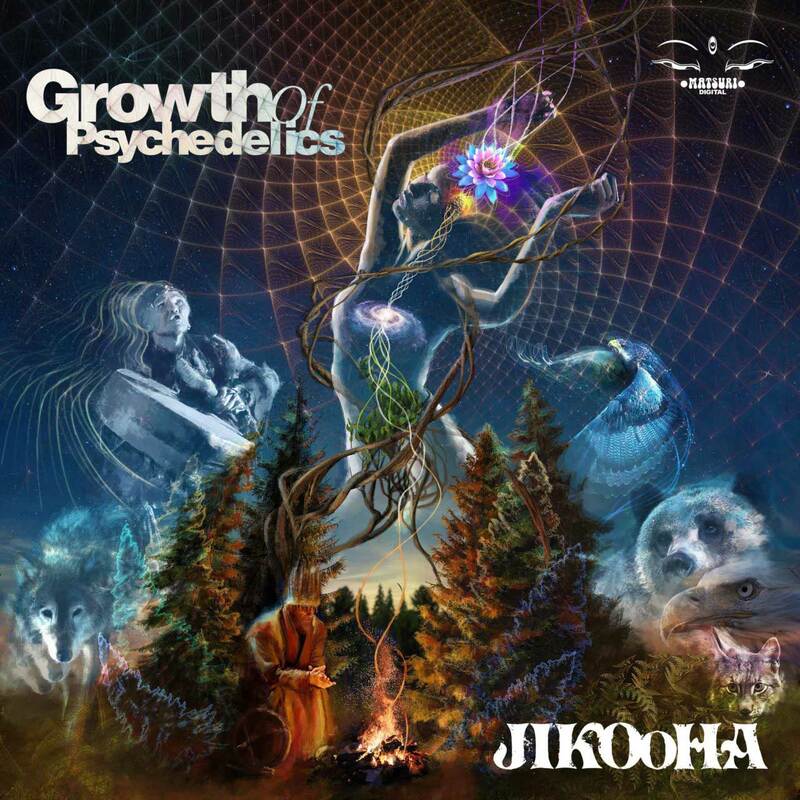 The title track Growth Of Psychedelics reflects the roots of early Goa music with energizing but hypnotic harmonies. Framed in a groovy vibe, long build-ups and acidic riffs create a cosmic atmosphere and trancey state. Dreamers’ Sad Alien is a melodic but driving track with powerful 303 acid lines balanced by uplifting melodic loops and upper-frequency percussive patterns. These two tracks take us back to the deep and exciting energy of early Goa trance with their slower speed, analog sounds, acidic effects,and evocative atmosphere.